This beautiful antique Knoya rug from Turkey – an early piece – is resplendent with traditional tribal elements of design, and is characterized by a distinct, traditional composition. Antique Tribal Turkish Konya Rug, Country Of Origin: Turkey, Circa date: 1900 - Antique Oriental rugs are available in a wide array of styles, from traditional to more modern, from tribal to cosmopolitan, from abstract to concrete. 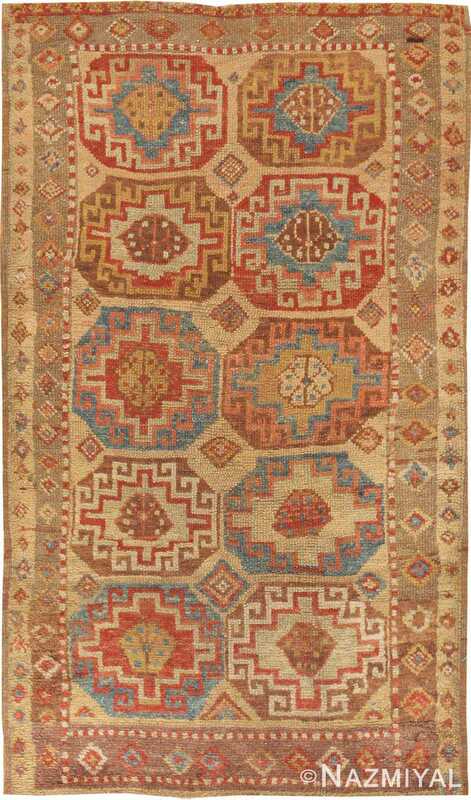 This particular antique rug is a wonderful example of the aesthetics preferred by tribal groups - in this case, the Turkish Konya. 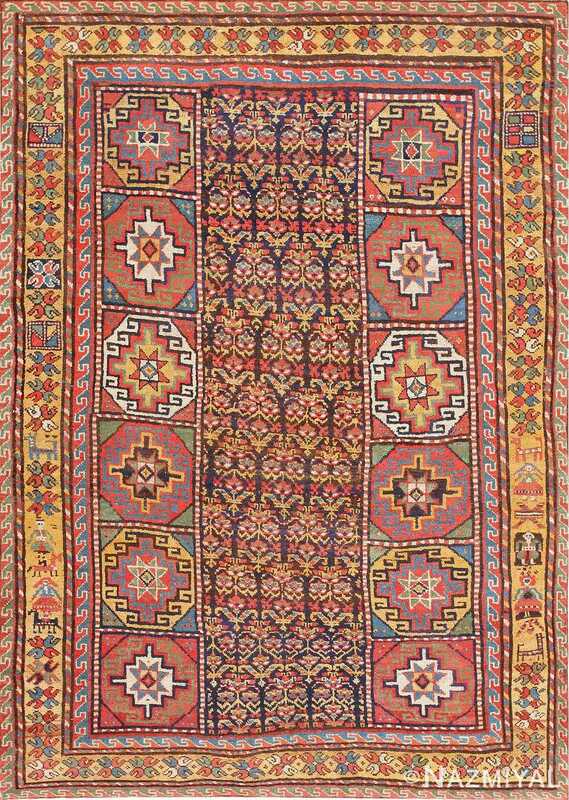 Konya carpets such as this magnificent piece are celebrated for their adherence to the elements of style and design most culturally important to the group. This piece, for instance, sports a unique composition that is immediately recognizable as Konya in origin. A series of borders, with the vertical sides sporting a greater breadth than the horizontal, frame the action of this piece. Rather than featuring a single field, however, this piece is divided into three sections within the borders: A central portion with an allover geometric portion, and a vertical stacking of squared off hexagonal figures on either side. The unique composition of this fascinating rug is a great example of the enduring beauty of tribal design.